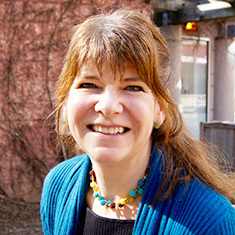 Heather Skilling is an economist with more than 25 years of experience in strengthening water and sanitation service delivery in developing countries. She has worked at three levels: 1. At the global level, as a Steering Committee Member of the Sanitation and Water for All partnership, UN Advisor, and consultant on the NEPAD Africa Infrastructure Country Diagnostic and the World Bank WASH Poverty Diagnostics; 2. At the sector level, leading reform activities including policy, regulation, sector financing and good governance; and 3. At the provider level, including efficiency improvements, public-private partnerships, twinning and formalization of small-scale providers. She has particular expertise in fragile states and on meeting the needs of the poor. Her work has ranged from developing and closing a management contract transaction for the Guyana Water utility—to leading a project to create a multi-sector regulator in Malawi—to managing USAID’s SUWASA project which built the financial sustainability of urban water companies across nine African countries. She has worked with the U.S. Agency for International Development (USAID), The World Bank, Asian Development Bank, the U.K. Department for International Development, GIZ and private consulting firms including almost eight years as Senior Water and Sanitation Advisor with USAID’s Africa Bureau and Water Office. Over that time, Heather has worked in more than 30 countries, primarily in Africa, Asia, and the Middle East.